We loved Deepti's hand-drawn vase and twigs, her beautiful use of the colors, her original use of the washi tape, and her creative design! 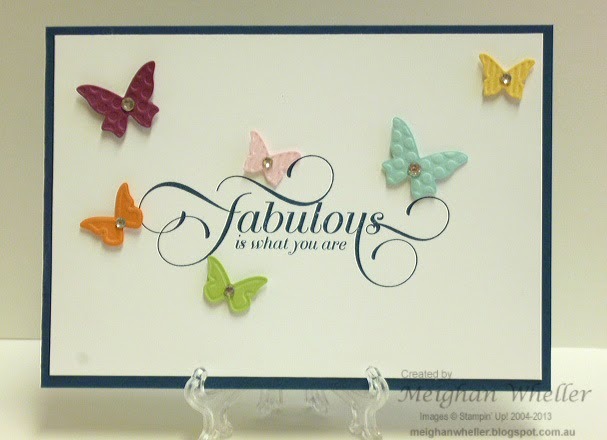 We love Cathy's coloring and design and those butterflies are fabulous! 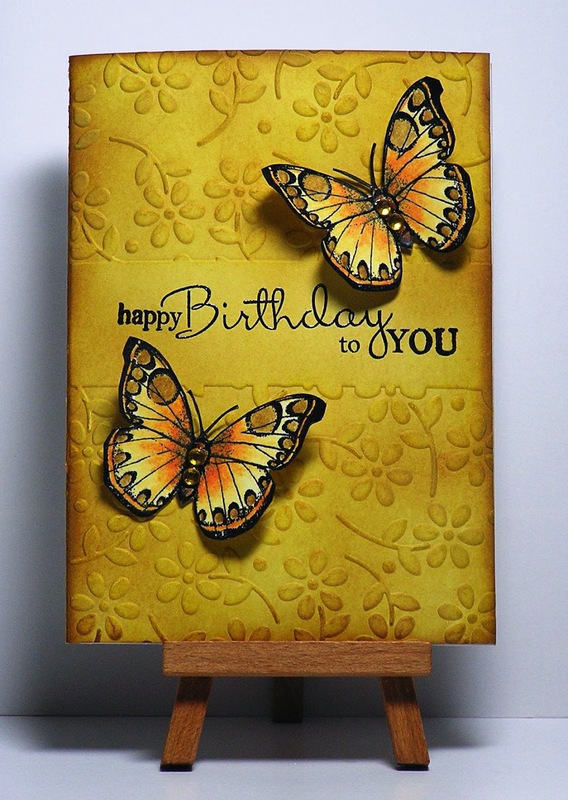 Sarah's use of patterned paper is great and we really like her framed sentiment and layered butterflies! Congratulations to these talented winners! Be sure to grab your winners badge below. The picture is The Firebird by Edmund Dulac who was famous for illustrating fairy tales. You can find out more about him and his work here and here. 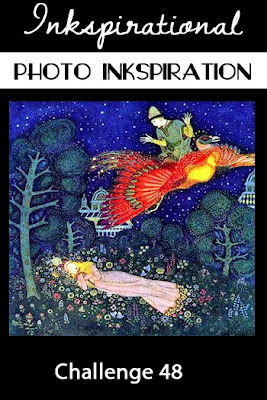 Feel free to pick out any elements eg the trees, the starry sky, the buildings in the background….or even just the fairytale theme. However, if it’s not obvious, do please mention how the picture has inspired you. 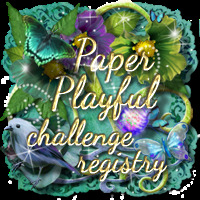 BTW,our team members Sandie and Nonni are starting a new challenge. Why not take a look? 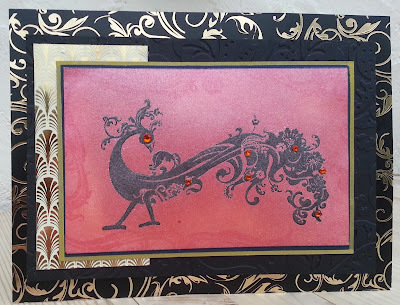 With the new year in full swing, we are thrilled to see so many beautiful entries in our current color challenge! Keep the entries coming for one more week! We have narrowed down the entries from our previous Anything Goes challenge and have come up with these wonderful Top Picks! 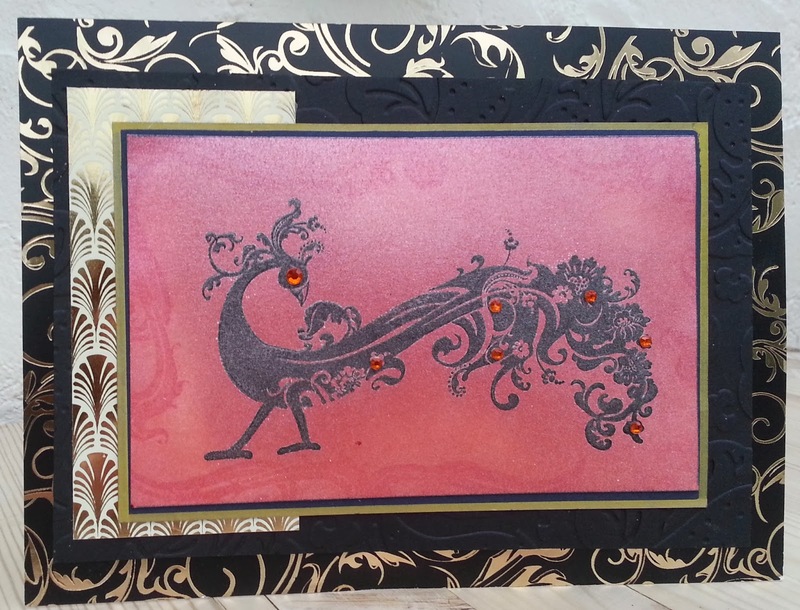 We loved the beautiful layout and originality of Anni's card. Such a creative use of the clear circle and the pop of color from the fox is excellent! 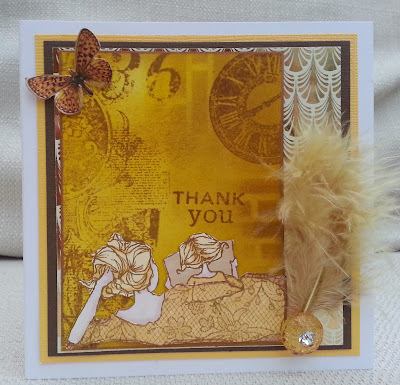 We loved Simone's use of feathers and stitching. Her unique, bold flower is just stunning! 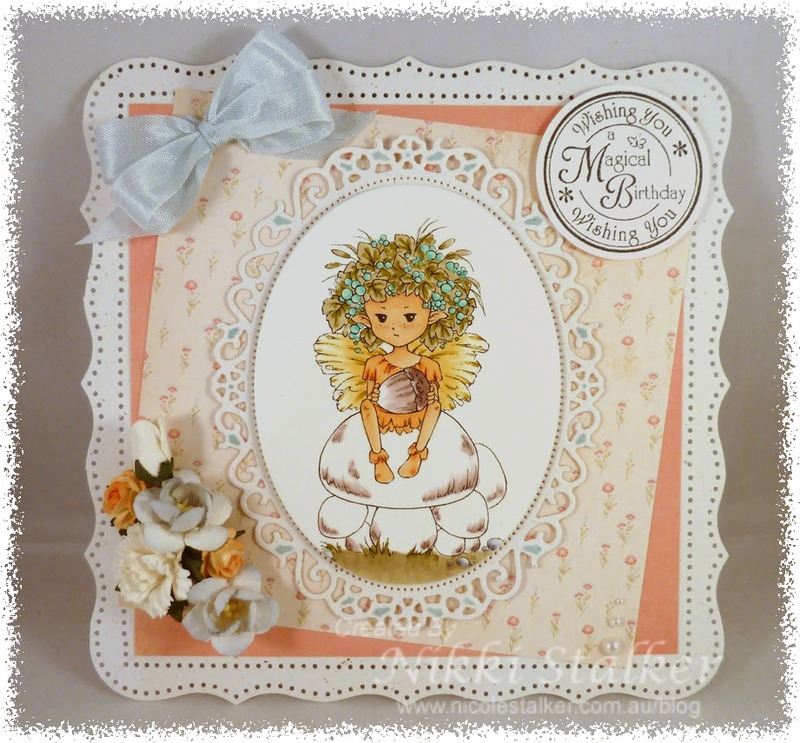 We like the girl image that Gerrina incorporated and the functional windows are great! 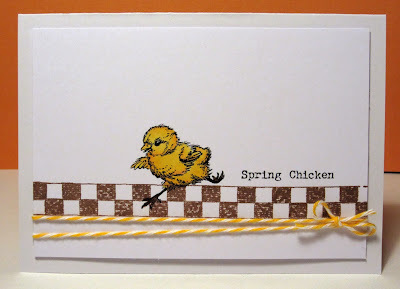 This is such a unique card! Congratulations to these winners! Be sure to grab your badge here. Happy New Year to you all! 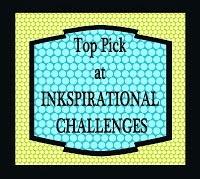 I hope you will make it your resolution to join us at Inkspirational for our challenges every two weeks. 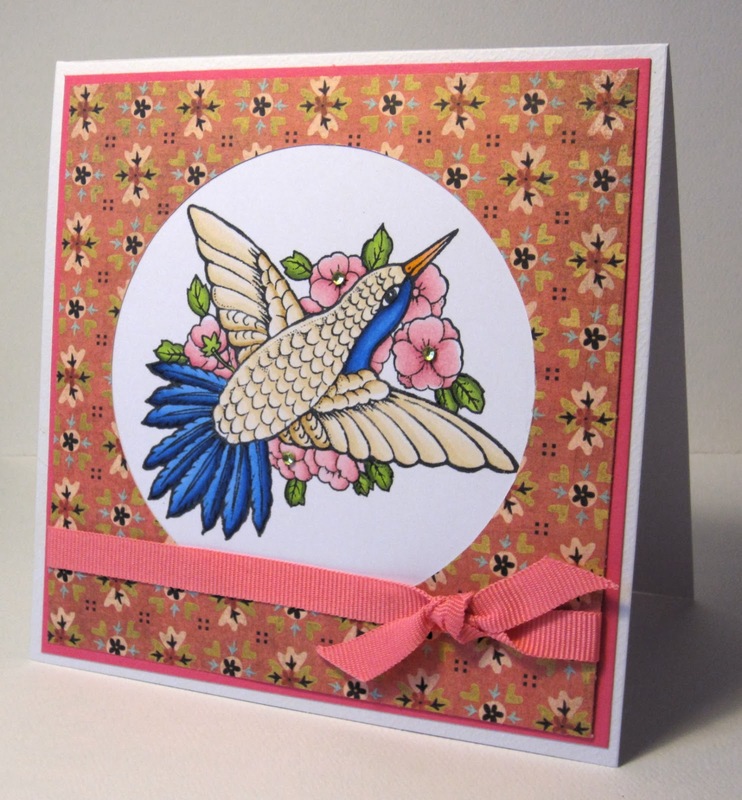 We will be showcasing our 'top picks' every fortnight and inviting one of them to join us as a Guest Designer. 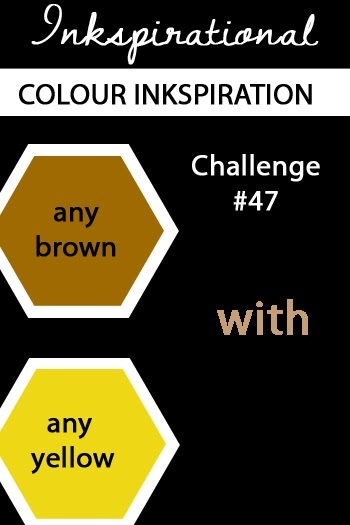 This week is Inkspirational's 1st birthday and, like our first challenge, today's challenge is a colour one - any shade of brown with any shade of yellow. To join in, please use any shade of brown or beige (including kraft) with any shade of yellow (including gold). You may also use black, white or cream and realistic colours for hair, skin, or fur. 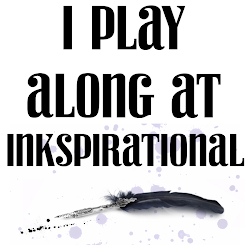 Here is some inkspiration from the Design Team.